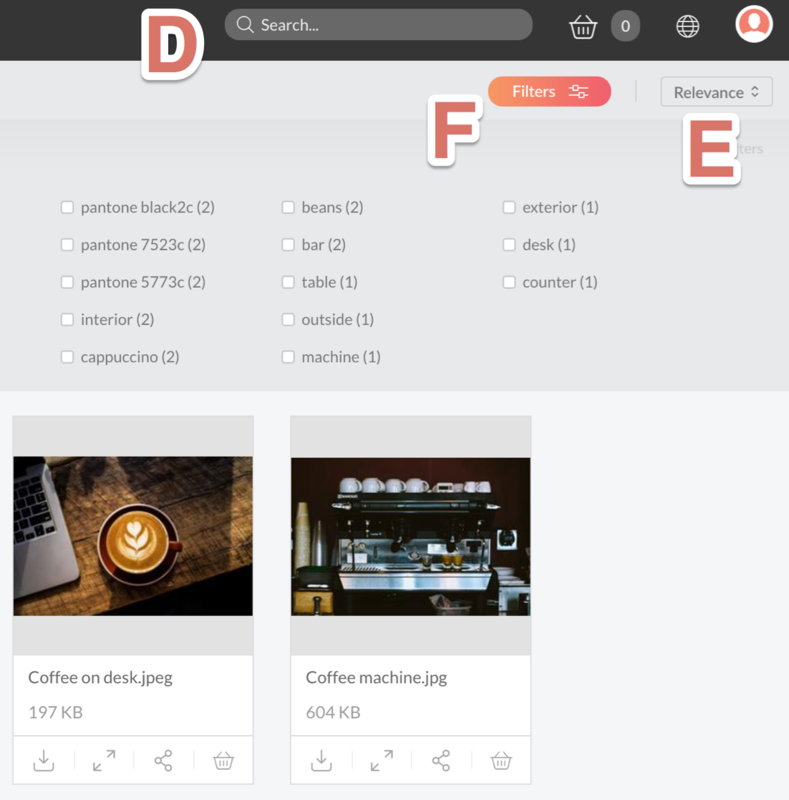 Working with files in Swivle begins with first finding the files that you want to work with. This article describes the various ways in which files can be located in Swivle by using the Brand portal. 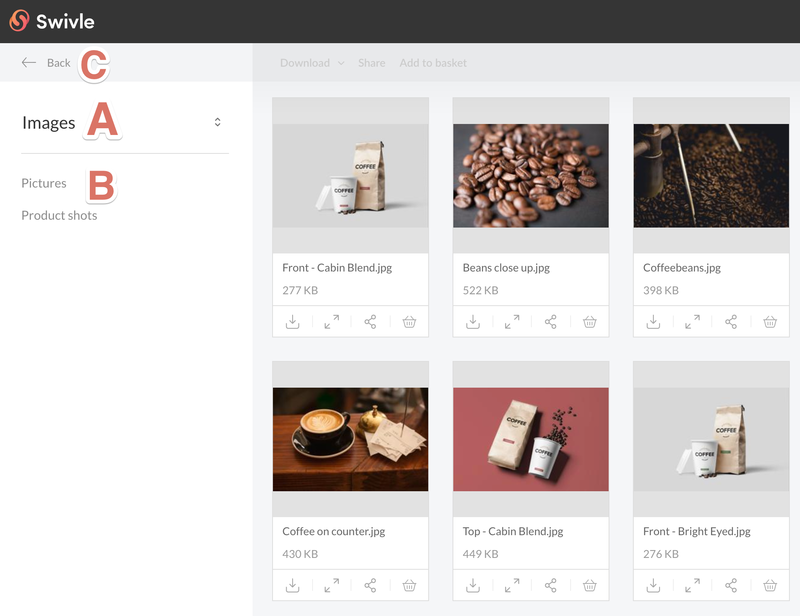 By default, the Brand portal will show you all the available files in Swivle. To find the files you need, you can browse by category, as seen in the screen shot below. Example: Here, the current category (A) "Images" is selected. The selection can be narrowed by selecting a sub-category (B) or broadened, by selecting the Back (C) button. Additionally, you can see and browse back to any of the parent categories by clicking on the current category (A). Results can be sorted by selecting the Sort by (E) button and selecting the desired sorting method. Results can be further narrowed by adding a selection of filters. In the Brand portal, you may filter by Tags or file Extension. Adding filters can be done by expanding the Filters panel (F) and selecting the desired filters. If you regularly search for the same files, save the search by creating a bookmark in the Web browser.